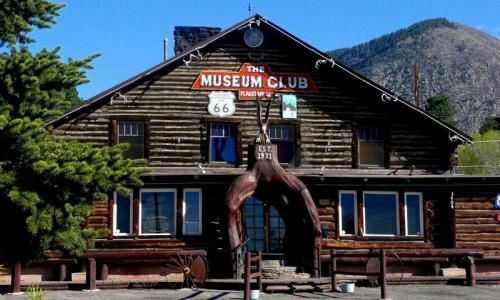 The Museum Club is a Historic landmark built in 1931… it was at one time the largest log cabin in Arizona. Now it plays host to national acts as well as regional bands. For private events, the Museum Club features a large wood dance floor, 2 full service bars, and a back patio that can accommodate up to 150 people. Indoor capacity is 280 people. We host live music Thursday through Sunday between 9pm and 11pm. Unfortunately, we are unable to accommodate private event requests during these times.